While many finance executives view sales professionals with some suspicion, to say the least, the CEO of a financial services consulting company has found an ally in, of all things, an aircraft sales consultant. Randall A. Roth is the CEO of Vitex, Inc., a company that provides consulting services for banks, helping them find ways to become more efficient and improve their bottom line. He is also a multi-engine, instrument rated pilot with over 2500 hours of flying time. As the manager of consultants, Roth has high expectations of professionals he works with. And like many consulting company CEOs, he finds that visits to client sites are vital to the success of their relationships and sales. Roth has owned “a dozen or so” airplanes over the years he’s been flying, and has enjoyed working with aircraft sales professional Brian T. Chase for more than a decade. Chase and Roth began flying together in Roth’s Citation I in 2003. They share a passion for aviation and for good management practices. Roth and Chase shared three key factors illustrated by their relationship that finance industry executives can profit from. Get Everyone Together in the Same Room At Key Points. When Roth wanted to sell his Citation II, Chase found a buyer from Caracas, Venezuela. This is when the importance of good people skills came into play. As sometimes happens with aircraft transactions, there were some questions raised during the rigorous inspection process. “The whole deal was falling apart because of some details with windows, but Brian got the buyer and his chief pilot to come to my office and introduced us. We were able to put emotions aside, and get comfortable with each other,” said Roth. 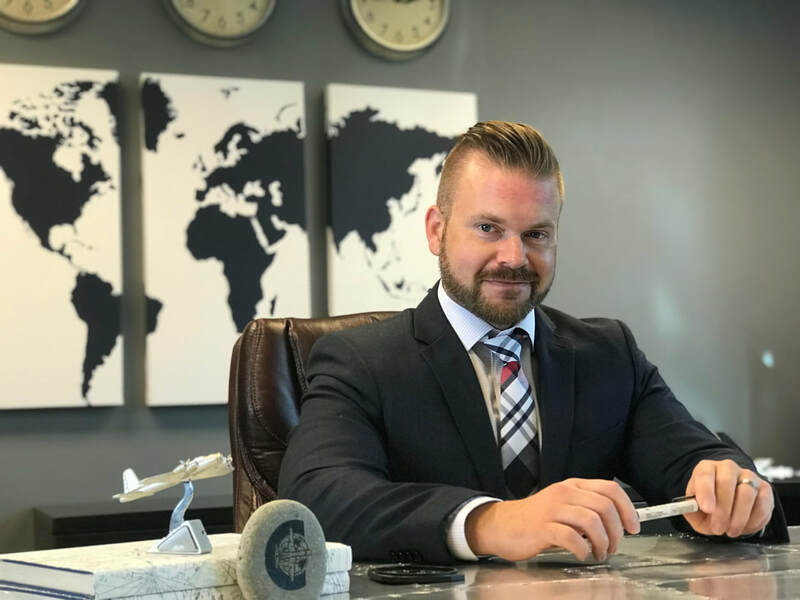 After meeting Roth in person and visiting his office, the buyer felt much more comfortable that the plane had been managed by a reputable company and he was doing business with a reputable person. The deal went through without a hitch. “Aircraft transactions aren’t just about miles flown and inspection reports and dollars. They’re really about two human beings and finding an arrangement that is profitable and fair to them both,” said Chase. Get Expert Help Early Enough to Act On It. Selling an aircraft can be challenging when there are many similar planes on the market. “Brian told me what we ought to do to get it ready to sell. He was pretty direct and specific. He even told us which airport would be the best place to keep the aircraft while it was for sale,” said Roth. “By making the airplane more attractive and more accessible to prospective buyers, we can help sell it more quickly,” explained Chase. Roth and Chase are just beginning to work together on a third transaction, flying to Denver together to see a prospective plane for Roth to buy. Find Somebody To Trust and Stick with Them. “Traditionally when I have worked with an aircraft broker, they’ve made me do a lot of the work. They’re just interested in selling the plane or doing the transaction. Some of them are not that knowledgeable about makes and models and just let me come to my own conclusions,” said Roth. A great aircraft consultant should know the market, the pros and cons of different planes for different missions and budgets. “I don’t have time to do all the research. Chase Aviation is really in tune with the market and handles all the details and paperwork. They look at every page of the plane’s logbooks, they do it all, and keep me well-informed. I’m very comfortable that they’ll give me the good news and the bad,” said Roth. It’s also important for business executives to find an aviation consultant that is a good fit for the way they like to do business. Roth also mentioned that personality is a factor – many of the professionals he’s worked with can be either “lazy or fanatical,” it’s reassuring to work with someone who has a balanced, stable approach to these complex transactions. Aircraft transactions can be stressful and emotional to buyers or sellers, because the transactions can be challenging and have a big impact to a company bottom line or a negative financial outcome for an individual . “We have found ourselves constantly being put in position of choosing between our own self-interest and the well-being of our clients. We have walked away from hundreds of thousands of dollars of revenue that we could have earned had we just done what most every aircraft broker would do; shut up and ‘get the deal done.’ I’m not sure I should be proud of this but we have literally talked people out of buying an aircraft! Imagine that… Whether they weren’t going to use it enough to justify the real costs, couldn’t make a business case for it or just had downright unrealistic expectations, an aircraft sales company gave advice not to buy an aircraft. But in aircraft sales, we have a long horizon for success, we’re emphasizing relationships over transactions, and I’d rather walk away from a deal today and keep a solid relationship; we’re fortunate to have clients like Randy who appreciate that mindset. In fact a year ago I talked Roth out of buying a plane he was considering,” said Chase. Founded in 1995, Vitex combines senior-level consultants and industry experts to help both community banks and large financial institutions optimize resources and discover opportunities for improved profitability. They have over 800 clients across the U.S., and seeing them in person is crucial to the company’s success. Chase Aviation Company, LLC was founded by Brian T. Chase in May of 2006. Located at the Charleston International Airport (CHS,) Chase Aviation provides clients with aircraft sales and acquisition related consulting services, focusing primarily on turbine aircraft acquisitions. Chase Aviation is pleased to announce that our last blog post had an article written about it which got syndicated in over 100 different publications!